Most of us put in a little effort to slow down the process of getting wrinkles. 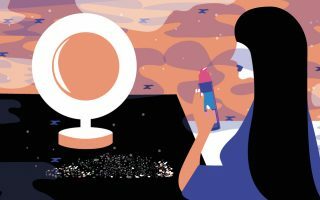 We tend to focus on the lines on our foreheads and around our eyes because they make us look older, but we often neglect one of the hardest-working areas of our bodies: our hands. Hand wrinkles often show age more profoundly than other areas of the body. Luckily, there are a variety of options when it comes to treating wrinkly hands that pretty much anybody can take advantage of. In general, hands get wrinkles more easily than other parts of your body because they are less protected from the sun (when was the last time you applied sunscreen on your hands all day long?) and because they are more exposed to drying conditions, like regular hand-washing and antibacterial sanitizers. Wrinkles are caused by the gradual loss of collagen and elastin fibers in the skin, which simply occurs with the passage of time. Collagen and elastin are proteins that keep skin youthful, plump, and elastic. They are what allow skin to bounce back once it’s been stretched. After the age of 30, collagen and elastin begin to degrade, and you may notice the formation of your very first wrinkles. You may also notice sagging skin, particularly around the jowls. The same process happens all over the body, including on the hands. In addition to loss of collagen, natural oils decrease in production as we age. This is significant in that the natural oils in your skin are a great source of moisture. Once depleted, your skin becomes dry and far more prone to wrinkling. Fatty deposits deep in the skin also begin to decrease, leading to deeper wrinkles. Hand skin is very delicate, and the loss of natural oils will affect it greatly, causing crepiness (a papery look) to occur. Sun exposure is another major culprit when it comes to wrinkle formation, especially early wrinkle formation. Ultraviolet radiation leads to the degradation of collagen and elastin, causing both fine lines and deep wrinkles to form. It’s imperative to begin diligent sun protection from a young age. Since our hands are so often exposed to the elements, sun damage can affect them greatly. Another cause of wrinkles is smoking and pollution. It is thought that smoking changes something in the blood supply that nourishes skin. Pollution contains small, harmful particles that can seep deep into pores and cause dehydration. In some cases, they can even degrade collagen as well, causing premature aging. Put together, all of these factors contribute to wrinkles on the hands, which can show one’s age moreso than wrinkles on the face. Because we tend to spend more time dealing with wrinkles on the face, our hands may often be neglected. If you want to prevent hand wrinkles, it’s important to be as diligent about sun protection and regular, daily hydration on your hands as you are when it comes to your face. It definitely begins with sunscreen and adequate sun protection. Glove wearing may not be a habit, especially in the warmer months, but applying sunblock every time you go out is important. This will help prevent the collagen degradation that causes wrinkles, and also help prevent dark age spots that can further age hands. To diminish the appearance of age spots, you can also use products that contain powerful whitening ingredients like hydroquinone and vitamin C. Use SPF 15 or higher every day, even if you’re only outside for 10-15 minutes. It is cumulative sun damage that ultimately leads to hand wrinkles and other signs of aging, so you want to make sure you’re doing everything you can on a regular basis to keep it at bay. Moisturize every day. You moisturize your face on a daily basis (we hope), so why not your hands? Washing dishes, working in a garden, doing general housework or even just washing your hands multiple times a day can deplete the natural oils of your skin. This can lead to dryness, which in turn leads to the formation of wrinkles and that much dreaded crepey look (which also makes veins more noticeable – another reason hands can look old). Consistent moisturizing can help prevent this problem, and if you already have wrinkles, it can help smooth them out a bit and make them less noticeable. 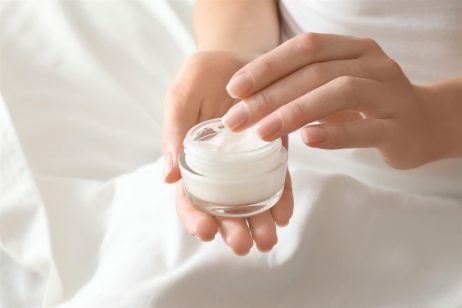 Use moisturizers that contain ingredients like glycerin, shea butter and hyaluronic acid. Glycerin acts as a humectant, a substance that draws water to the skin and helps it retain moisture. Shea butter helps soften and restore elasticity. Hyaluronic acid is a remarkable ingredient that can retain up to 1,000 times its weight in water. This makes it a great moisturizer because it helps skin retain moisture and look plump and youthful. It will essentially plump up wrinkles to make them far less noticeable. Another option is hand masks. These are masks for the hands that provide an additional burst of hydration. There are both sheet and cream varieties that you can alternate in use as suits your needs. Try exfoliation with glycolic acid or retinol. Both of these are strong exfoliants that can improve skin texture. With their ability to remove dead skin cells and reveal newer, younger-looking skin, glycolic acid and retinol can help treat crepiness and wrinkling. Glycolic acid is an alpha hydroxy acid that helps “unglue” dead skin cells that can make skin look dull. It can also help lighten dark spots thanks to this same ability. Moreover, glycolic acid is proven to stimulate collagen. This stimulation of collagen can help smooth out wrinkles to make hands look more youthful. Retinol (vitamin A) has also shown an ability to stimulate collagen production. With its dual ability to help shed dead skin cells and stimulate collagen, it can be a powerful ally in the fight against hand wrinkles. Use glycolic acid and retinol treatments during the nighttime, because both can make skin more susceptible to the sun. A chemical peel every few months can also help treat hand wrinkles and crepiness. Chemical peels work by using a combination of chemicals that help peel away the outer, wrinkled and sun damaged layer of skin to reveal youthful-looking, smooth skin. Chemical peels usually use a variety of acids, like glycolic acid, and phenol (carbolic acid) at a higher concentration than what is available to buy over-the-counter. You will most likely have to get a chemical peel at a dermatologist’s office. After a chemical peel, redness, flakiness, swelling and scaling may occur as your old skin is slowly shed (usually within three to seven days) to reveal newer skin underneath. Moreover, following a chemical peel, your skin will have heightened sun sensitivity, so it is very important to apply sunblock every day afterwards. SPF 30 or higher is recommended. Chemical peels are available in light, medium and deep versions. The deeper the peel, the more your skin will react by turning red, flaking away or even blistering, and the more pain you will experience. You may be given medicine to help ease the pain. 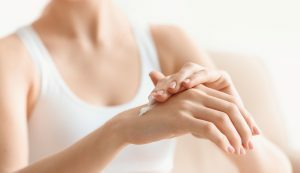 Your doctor may also recommend pre-treating your wrinkly hands with retinol or glycolic acid (in lighter forms, of course) before you get a peel. This thins skin and makes it more receptive to the stronger acids that will be used during the chemical peel. Another option, if you can afford it, is getting injections of certain fillers to plump up the wrinkles in hands that have lost tissue. These fillers, like Radiesse (the first dermal filler approved by the FDA to be used on hands), help fill in the deep crevices that have formed over time, and give hands a more robust, youthful look. Radiesse is made of calcium hydroxylapatite (CaHA) microspheres that are suspended in a gel. Radiesse injections will last about a year or up to 18 months. Another bonus is that fillers like this will also make prominent veins appear less visible, or may even make them completely (temporarily) disappear. This can go a long way in making hands appear young. Hand wrinkles can be a frustrating issue to deal with, causing some distress and loss of confidence. But there’s hope. There are several options for prevention, and there are treatment options ranging from affordable to a little bit more expensive. Regardless of the treatment options, however, continue to practice prevention by wearing sunscreen every day, no matter your age. This can go a long way in preventing future wrinkles, crepiness and age spots. References: “Increased in vivo collagen synthesis and in vitro cell proliferative effect of glycolic acid.” Dermatologic Surgery; “Improvement of naturally aged skin with vitamin A (retinol).” Arch Dermatology.